The Scorpio Focus is a wireless lens control for the control of external motors. Its market consolidation and its constant update of functions, makes it the most versatile, safest and complete, as well as the most universal for its adaptation to any kind of cameras and lenses. 15 Communication chanels between 2.4GHz and 2.5GHz. Half Duplex Microwave between the hand unit and the motor driver box. 1 Channel of communication by cable using RS485. Input voltage in Motor Driver Box (MDB) from 11 to 30 V DC. Standard 7.2 V NP-FM50 Sony batteries for hand unit. The lens are automatically calibrated when connecting the power cable to the digital motor from the Motor Driver Box (MDB) as well as from the Hand Unit set menu. The calibration remains saved on memory when disconnecting the equipment. This avoids any movement of the lens once the system is connected back, being very useful in situations like battery replacement. External small zoom control can be connected to the Motor Driver Box (MDB) or to the Hand Unit for external zoom control. Two Hand Units can be connected wireless in mode “Master-Slave” to separate the Focus, Iris and Zoom control. Three power levels for the initial lens calibration and three levels for the motor movement, sselectable for each motor through the settings menu (Low, Medium and High). Possibility to set limits to Focus, Iris or Zoom movements. Run camera control from the hand Unit. 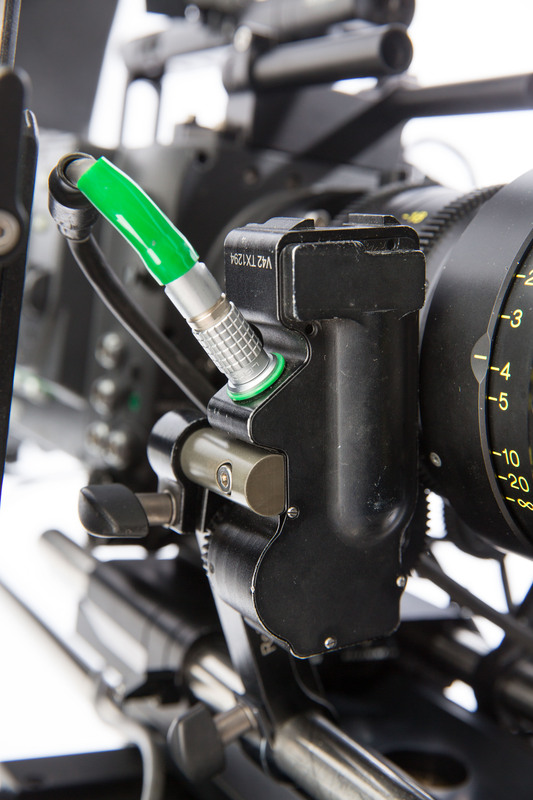 Brackets, gears, driver cables and power cables available for any camera and any lenses in the market.